This four door media credenza features a Chinese Chippendale design on the door fronts that is backed by a mirrored inset to reveal the inside. 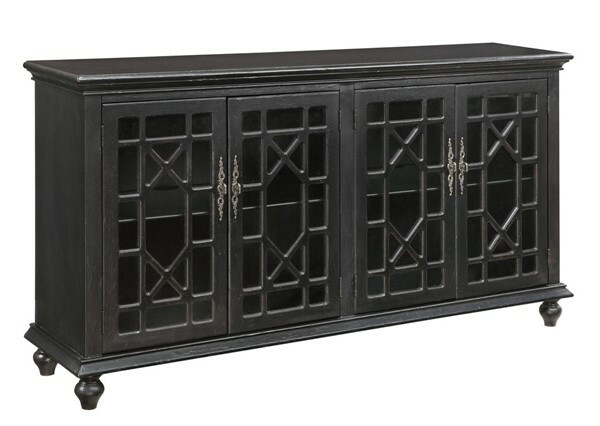 The simply shaped cabinet is finished in Edwardsville Textured Black that allows the decorative hardware to shine. Shelves divide both interior spaces.